The American Institute for Conservation Collections Emergency Response Team (AIC-CERT) has begun receiving calls for assistance from those affected by Hurricane Irene. The team’s efforts follow several years of specially trained members responding to local and national emergencies across the United States. In partnership with the Smithsonian Institution and the US Committee of the Blue Shield, AIC-CERT and other AIC members have been working in Haiti over the past year and a half to help preserve art damaged by the January 2010 earthquake—AIC’s first international response effort. If you know of institutions in need of advice or onsite assistance following a disaster—with collections affected by everything from a broken water pipe to roof damage—encourage them to contact AIC-CERT at its twenty-four-hour assistance line, 202-661-8068. Art Historians Interested in Pedagogy and Technology (AHPT) is sponsoring two workshops in the near future. The first event, taking place on November 9, 2011, at the annual meeting of the Southeastern College Art Conference in Savannah, Georgia, is called “Reflections on Where We Are and Where We Are Going with Technology in the Art History Classroom,” chaired by Marjorie Och of the University of Mary Washington. The second workshop, titled “Constructive Use of Technology in the Art History Classroom: A Hands-on Learning Workshop” and led by Sarah Scott of Wagner College, is scheduled for the 2012 CAA Annual Conference in Los Angeles, California. The workshop format will allow attendees to circulate among the presenters during the session or concentrate on one topic. Please bring your questions and ideas. AHPT also announces its new website, with membership information, announcements, and resources. The Association of Art Historians (AAH) formed in England in 1974, born from a need to professionalize a rapidly growing subject. What prompted its formation? How did it take shape? What of its impact on the discipline, nationally and internationally, both then and now? Voices in Art History: AAH Oral Histories explores these questions through a series of audio interviews conducted with art historians involved with the organization during its early days. Participants include Francis Ames-Lewis, Charles Avery, Alan Bowness, Andrew Causey, Luke Herrmann, Martin Kemp, John Onians, Marcia Pointon, Flavia Swann, Lisa Tickner, and John White. The audio interviews offer commentary on the changing nature of higher education, and on art and culture since the 1950s. They address the interviewees’ educational background and professional lives, while reflecting on scholarly influences, debates, and practical concerns that had an impact on networks of academic art historians, educators and museum professionals. The complete recordings are accessible to researchers through the Archive of Art and Design at the Victoria and Albert Museum in London, where the organization’s written records are held. The interviews form the basis of the Voices in Art History podcast, currently in development. For further details, please write to oralhistory@aah.org.uk. The Association of Historians of American Art (AHAA) is offering a travel grant covering expenses (up to $500) for an ABD student of historical art of the United States who is participating in the 2012 CAA Annual Conference in Los Angeles. The recipient must be an active AHAA member enrolled in a graduate program. To enter, please submit the name of the session you plan to participate in and your paper title to Melissa Dabakis, AHAA secretary, using the online form. Deadline: February 1, 2012. AHAA seeks to sponsor a one-and-a-half hour professional session at the 2013 CAA Annual Conference, taking place in New York. Please review the guidelines for submitting proposals. Deadline: March 1, 2012. The Coalition of Women in the Arts Organization (CWAO) seeks proposals of papers for “Eco-Feminist Issues in the Arts of US Women,” a combination studio-art and art-history panel, for CAA’s 2013 Annual Conference in New York. CWAO encourages women artists interested in ecological or ecofeminist issues to apply for this panel. Art-historian presenters must concentrate on US women artists engaging these issues. Artists could be experimenting with one or more ecological and social issues while also innovating in their mediums and techniques; works may include one or more new-media technologies. Please send your current CV, an abstract of your paper (150 words max), JPEGs of works, and/or your website address showing works representative of the proposal to kyrabelan@hotmail.com; or mail your CD to: Kyra Belan, PO Box 275, Matlacha, FL 33993. The Historians of Netherlandish Art (HNA) has received a generous donation from the Paul and Anne van Buren Fund of the Maine Community Foundation. The grant was awarded in memory of Anne Hagopian van Buren (1927–2008), an internationally recognized scholar of medieval art and a founding member of HNA. Her husband, the noted theologian Paul van Buren, died in 1998. The funds will be used to support HNA’s Fellowships for Scholarly Research, Publication, and Travel, and for related activities of the organization. The Historians of Islamic Art Association (HIAA) is sponsoring two sessions that pay tribute to the late art historian Oleg Grabar (1929–2011) at the annual meeting of the Middle East Studies Association, to be held December 2–3, 2011, in Washington, DC. In addition, the HIAA board and members congratulate their colleagues in the Department of Islamic Art at the Metropolitan Museum of Art in New York on the reopening of the museum’s splendid new galleries for Art of the Arab Lands, Turkey, Iran, Central Asia, and Later South Asia. Marek Bartelik, president of the United States chapter of the International Association of Art Critics (AICA-USA), delivered the keynote speech during the forty-fourth AICA International Congress, which took place October 17–20, 2011, in Asunción, Paraguay. The theme of the congress was “Art and Criticism in Times of Crisis.” During the event, the Cuban artist Tania Bruguera presented AICA International’s first Distinguished Critics Prize to Ticio Escobar, a former president of AICA Paraguay and the current minister of culture in that country. Participants on a postcongress trip traveled to Curitiba and Porto Alegre, Brazil, during the following week, October 21–26. The group visited the Curitiba and Mercosul biennials and toured the Iberê Camargo Foundation. The International Sculpture Center (ISC) will hold its twenty-third International Sculpture Conference, titled “Process, Patron, and Public,” in Chicago, Illinois, from October 4 to 6, 2012. This culturally vibrant city will be the perfect backdrop for ISC’s multifaceted biannual event, which brings together artists, administrators, students, collectors, and sculpture lovers for three days of education, conversation, and networking. Conference highlights will include an exciting array of keynotes, panels, workshops, and optional evening networking events throughout the city. The Chicago Cultural Center and the School of the Art Institute of Chicago will host programs by day; attendees may enjoy gallery hops, studio visits, and cocktail receptions by night. For more information, tickets, and the schedule, please visit ISC’s website or contact the Conference and Events Department at 608-689-1051, ext. 302. The Italian Art Society (IAS) seeks papers for the third annual IAS–Kress Lecture Series, taking place in Venice, Italy, in late May or early June 2012. This series enthusiastically promotes intellectual exchanges between art historians of North America and the international community of scholars living or working in Italy. Papers should present a topic related to the host city from any period. One distinguished scholar, necessarily an active IAS member, will receive an honorarium of $700 and an additional $500 allowance for travel and other conference-related expenses. Deadline: January 4, 2012. IAS also welcomes exhibition reviews, short articles, and announcements related to Italian art and architecture for its winter newsletter. Please send your contributions to the newsletter editor. Deadline: January 15, 2011. The James Pearson Duffy Department of Art and Art History at Wayne State University will host the next Mid-America College Art Association conference, to be held October 3–6, 2012, in downtown Detroit, Michigan. Programming will include three featured speakers and numerous panels on art, design, art history, and visual resources, as well as studio workshops, MACAA member exhibitions, and museum visits. The conference will have two areas: “Meaning and Making” and “Community and Collaboration.” The call for session proposals, and for the MACAA membership exhibition, has been announced online. The 2011 annual meeting of the National Council of Arts Administrators (NCAA), called “Push/Pull: The Artistic Engine of Innovation,” will convene November 2–5, 2011, at the AVIA Hotel in Savannah, Georgia. The conference will spotlight current trends in arts administration; offer forums, speakers, and workshops; and create opportunities to network within a diverse community of arts professionals in higher education. You can expect top-notch speakers, timely and forward-looking sessions, an engaging administrators’ workshop, and much more. As always, NCAA gladly welcomes all current and/or aspiring academic leaders to attend. The annual meeting brings together a community of arts administrators dedicated to cultivating leadership and sharing solutions across higher education. For nearly forty years NCAA has promoted, enhanced, and maximized communication among administrators from all types of arts institutions to support each member in becoming better prepared to lead, more skilled and strategic at managing resources, knowledgeable about current practices, and adaptable, flexible, and connected. 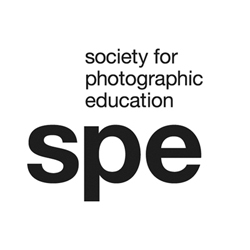 The Society for Photographic Education (SPE) seeks curators, professors, gallerists, art historians, and scholars to review student and/or professional member portfolios at SPE’s forty-ninth annual conference in San Francisco, California, taking place March 22–25, 2012. Portfolio reviewers receive discounted admission in exchange for their participation. To express interest in serving as a portfolio viewer, please write to info@spenational.org. The Humanities, Arts, Science, and Technology Collaboratory (HASTAC) recently published an article, “Learned Society 2.0,” by Dianne Harris, president of the Society of Architectural Historians (SAH). Her article reflects on fundamental changes in SAH that resulted from Mellon Foundation funding to develop two online academic resources: JSAH Online, a multimedia scholarly journal; and SAHARA, a shared, member-contributed online image archive for teaching and research. SAH continues to strategize about how to empower its members to produce innovative humanities research, publications, and nontraditional projects in the digital age. 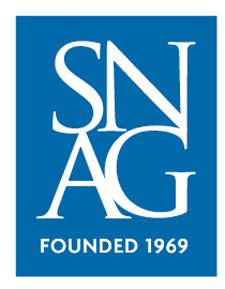 The forty-first annual conference of the Society of North American Goldsmiths (SNAG), titled “The Heat is On!” will be held May 23–26, 2012, in Phoenix, Arizona. Hosted by Arizona Designer Craftsmen, the event will take place at the Westin Kierland Resort and Spa Registration in Scottsdale. Registration will open on January 17, 2012. The conference cochairs are Becky McDonah, Tedd McDonah, and Lynette Andreasen. The Southeastern College Arts Conference (SECAC) will hold its sixty-eighth annual meeting October 18–20, 2012, hosted by Meredith College in Durham, North Carolina. Headquartered at the Durham Marriott City Center, in the heart of historic city, the conference will feature extensive sessions and panels facilitating the exchange of ideas and concerns relevant to the practice and study of art. Activities will include the annual awards luncheon, the SECAC 2012 Juried Exhibition, and a rich array of tours, workshops, and evening events. The deadline for the call for sessions and panels is January 1, 2012. For more information, please write to secac@secollegeart.org or secac2012@meredith.edu. It was a pleasure to return this past June to the beautiful University of New Mexico campus in Albuquerque for the Summer Educational Institute 2011 (SEI), sponsored by the Art Libraries Society of North America (ARLIS/NA) and the Visual Resources Association Foundation (VRAF). The local chair, Cindy Abel Morris, graciously hosted a diverse group of participants from museums, colleges and universities, research institutes, commercial enterprises, and art and design schools for an intense three-day program. In response to feedback from SEI 2010 participants and in concert with the SEI Implementation Team, newly appointed curriculum specialists Sarah Falls and Beth Wodnick developed a comprehensive program that for the first time included tracked, hands-on sessions on beginning and advanced digitization. Participants were placed in one or the other course depending on their level of experience. Modules that have been well received in the past, such as the intellectual property and metadata sessions, were also offered. The next SEI will be held in June 2012 at the University of Michigan in Ann Arbor. Information about SEI 2012 is forthcoming. Members of the 2011 SEI Implementation Team included: Kathe Hicks Albrecht, American University, VRA senior cochair and acting VRAF board liaison; Elizabeth Schaub, University of Texas at Austin, ARLIS/NA junior cochair; Betha Whitlow, Washington University in Saint Louis, incoming VRA cochair and faculty liaison; Cindy Abel Morris, University of New Mexico, local chair; Sarah Falls, New York School of Interior Design, ARLIS/NA-appointed curriculum specialist; Chris Hilker, University of Arkansas, webmaster; Trudy Jacoby, Princeton University, development; Tony White, Indiana University, ARLIS/NA board liaison (Sarah Carter, Ringling Museum of Art, as of March 2011); Beth Wodnick, Princeton University, VRAF-appointed curriculum specialist.